Sara Davis, Marketing aficionado, writer, and human rights activist who likes coffee and her toddler. Without a doubt, Gillette’s ad is the most controversial ad of 2019 so far. With millions of engagements, articles, and debates around the topic, we’re here to break it down for you. And in case you haven’t seen it yet, watch the ad above. There were those who loved it, and those who thought it was immoral. 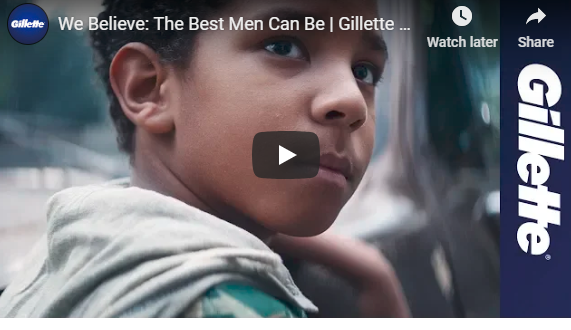 Gillette has stated that the idea behind the campaign was to “challenge the stereotypes and expectations of what it means to be a man.” And while many praised their message, others found it offensive and degrading. In marketing, a controversial ad isn’t necessarily a bad thing – it still at least succeeded in getting people talking. However, while I’m personally a huge fan of the ad, I imagine the amount of backlash Gillette received wasn’t ideal for their brand. But that being said, I’m high-fiving the eff out of this ad, what are your thoughts? Sara Davis is the VP of Growth for CanIRank, and a well-known author who has columns in Forbes, MoneyInc, KSL, and loves to share her tidbits with the world.